Products that can help you with: eczema, psoriasis, dermatitis, acne, rosacea, joint and muscle pain, swollen legs, bleeding gums, hair loss, and weight loss. The Beauty and Health Corporation has developed a natural cosmetic product range based on Chinese and Tibetan Herbal Medicinal Practices combined with the use of nanotechnology which significantly increases the efficiency of our products. Highly bioactive and with active ingredients up to 20%, TianDe products match professional products and help our customers with a range of skin, hair and health problems. We mainly use natural ingredients relying on the healing properties in order to provide care for your beauty and health. The cosmetics are a mixture of herbs and natural ingredients of ginseng, jojoba, bamboo, silver, snake fat, shark gristle and many others. The water used in the products is obtained from mineral springs. The formula of each product is based on proven, effective and ancient recipes of Chinese, Tibetan and Altai medicine which will help you achieve your health and beauty goals. With over 500 products, we’re confident that you’ll source a range of cosmetics to suit your needs. Combining great service and sales support, regular promotions and offers, our aim is to deliver outstanding products at affordable prices. This leads the company to its 5th place in the world's best Web Marketing Companies. TianDe is a fast-growing company. Over 2000 new clients join TianDe every day. 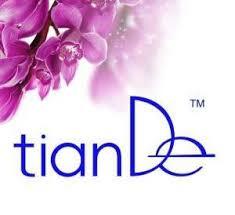 More than 6 500 000 people in over 10 countries chose to use the TianDe products. Professional masseurs and beauticians, contractors and celebrities are also a part of our big family and use these high-quality products. Our production processes adhere to stringent and robust ISO9001 Quality standards.